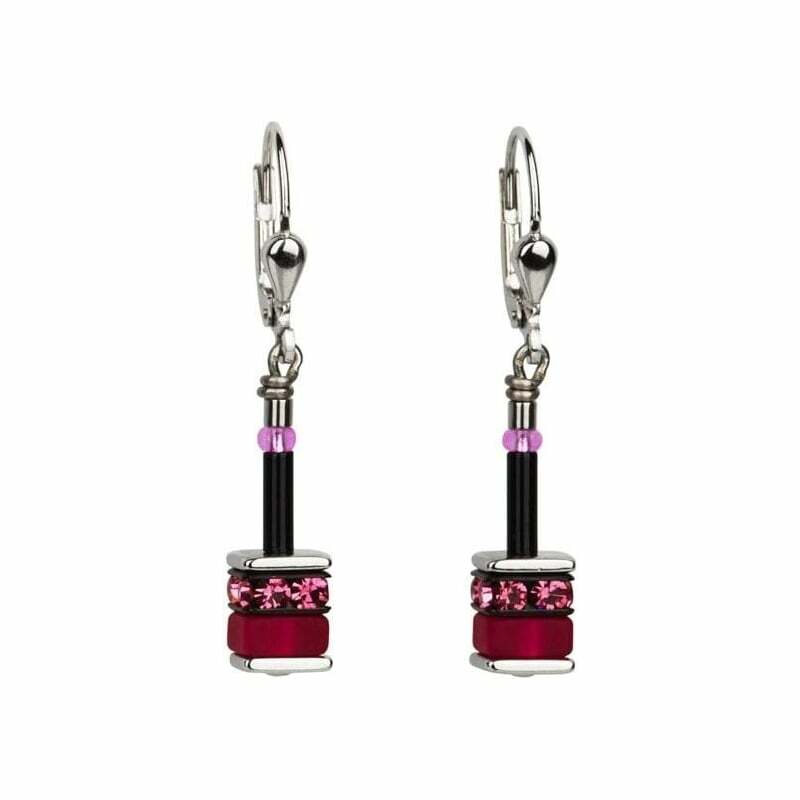 Coeur De Lion Geo Cube Pink-Rose Earrings 4409201500. Rhinestone rondelles with Swarovski® Crystals, polaris combined with stainless steel. Pierced earrings made of rhodium-plated sterling silver.